Nellie Belle is a an adorable brown and tan dog who is off on an adventure – digging holes in yard (and escaping), exploring the street, the beach and, finally, the park – before getting spooked by the dark and hurrying home to her safe warm bed. With a rhythm and repetition reminiscent of the folk song “Billy Boy”, Nellie Belle is a fast-moving, happy celebration of dogs and adventure. The illustrations, rendered digitally, have textures reminiscent of children’s paint sets and of marble, collaged into delightful scenes. The joyful expressions of the animal characters is especially appealing. Suitable for reading aloud to the very young, the repetition will encourage youngsters to join in. Don’t lose these britches, look after them well. They’ll stop being magical if they smell. It seems we’ve all been conned into believing that magic could come from a wand. Witches’ magic, it seems, actually come from their magical underwear. When young witch Ethel arrives at magic school she receives a package of britches and a note reminding her to keep them clean. She follows this instruction faithfully until a strong wind springs up one washing day and carries her pants away. When the underwear lands in a local park, all sorts of magical chaos ensues, until Ethel can round it all up. 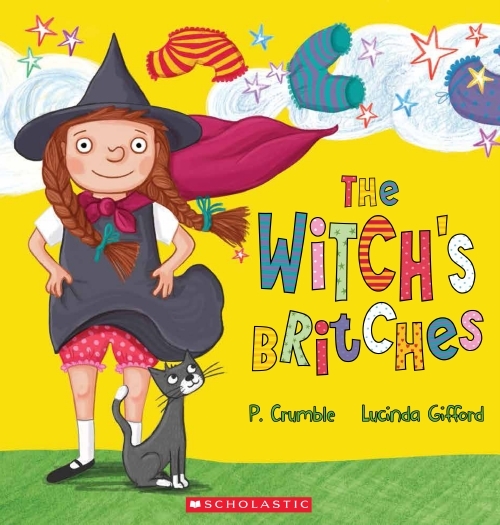 The Witch’s Britches is a humourous rhyming picture book about magic, witches and, of course, underwear. Youngsters will enjoy the silliness of both the premise and the chaos caused by the flying undwear. The bright digital illustrations have lots of detail to be enjoyed, and work well with the story. Donfinkle Vonkrinkle is happily building his perfect home, with the walls door, windows and porch all just the way he likes them. Everything is fine – until first a Flooble, then a Mooble, a Gooble and finally a Blooble all arrive to tell him what is wrong with his house. Donfinkle quickly gets to work fixing and changing his house – till he realises that his house is no longer perfect. Fortunately, his contrite friends help him to set it to rights. 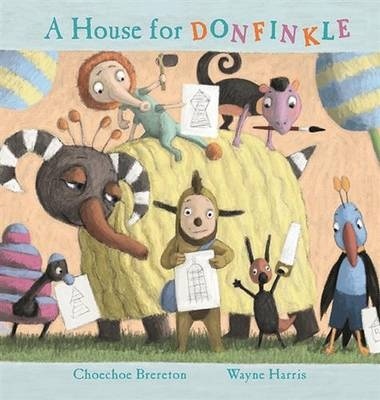 A House for Donfinkle is a delightful rhyming picture book by début author Choechoe Brereton. The text has a simple message about self-belief, told in a joyful, whimsical way. The rhyming text scans beautifully, making it perfect for reading aloud and for multiple rereadings. The digital illustrations, by seasoned illustrator Wayne Harris are filled with whimsical detail and rendered in a pastel palette which serves as a wonderful complement to the gentle message of the text.